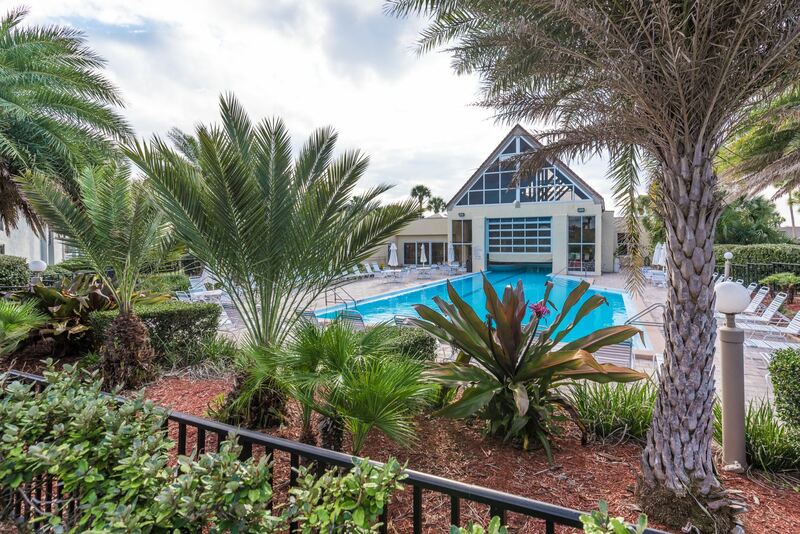 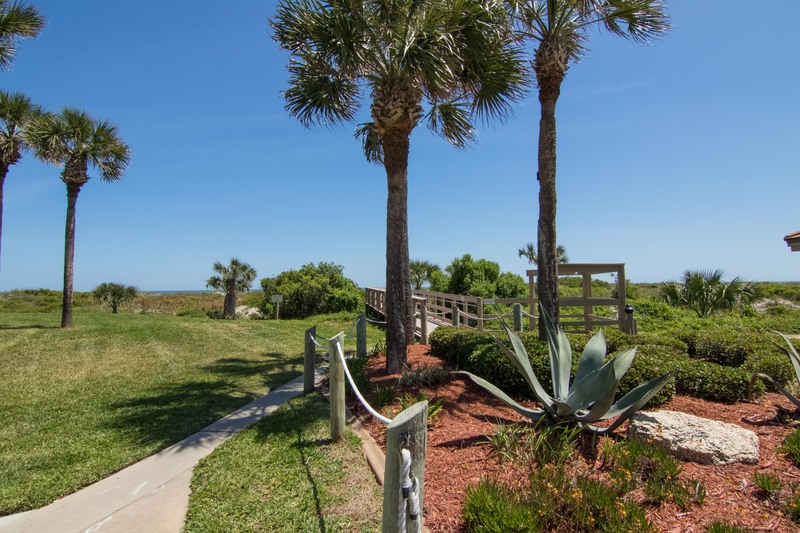 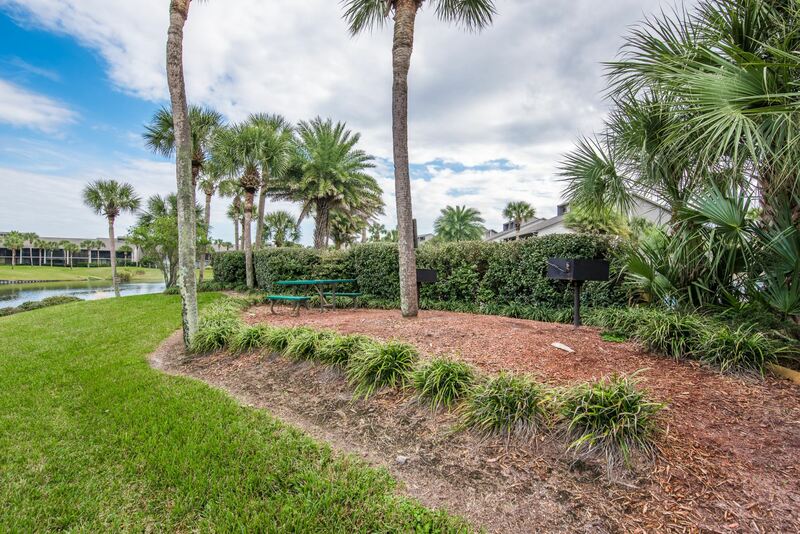 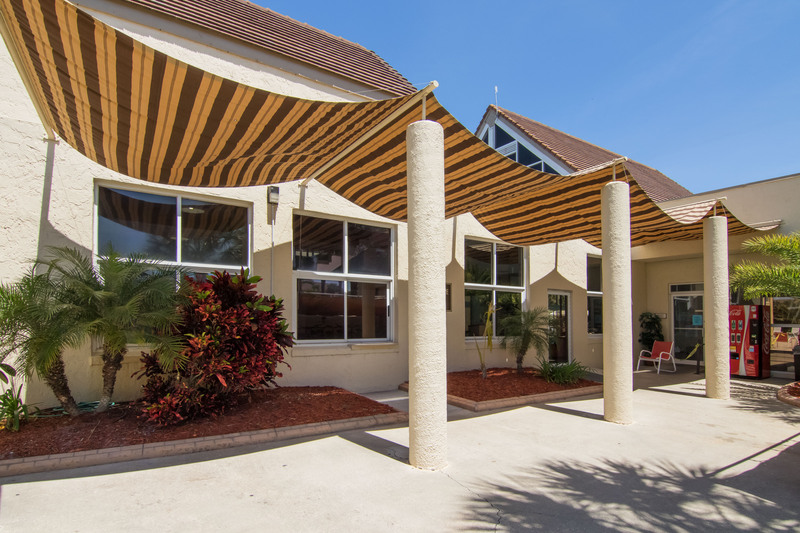 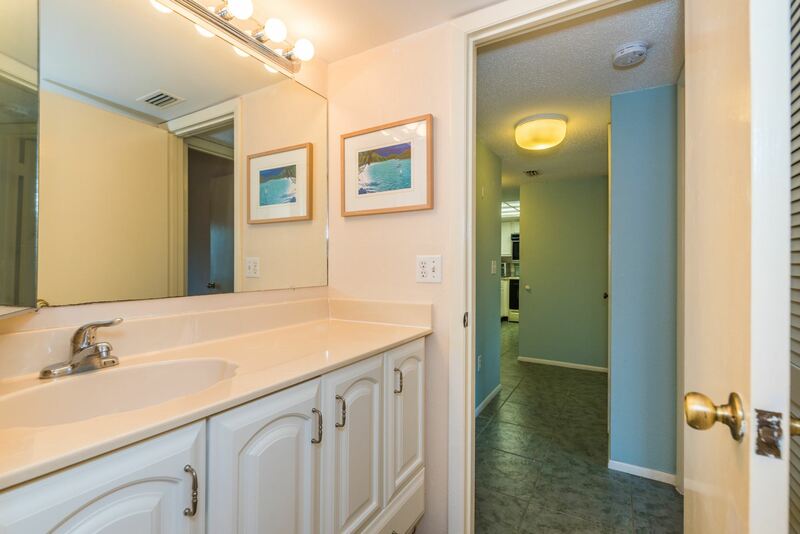 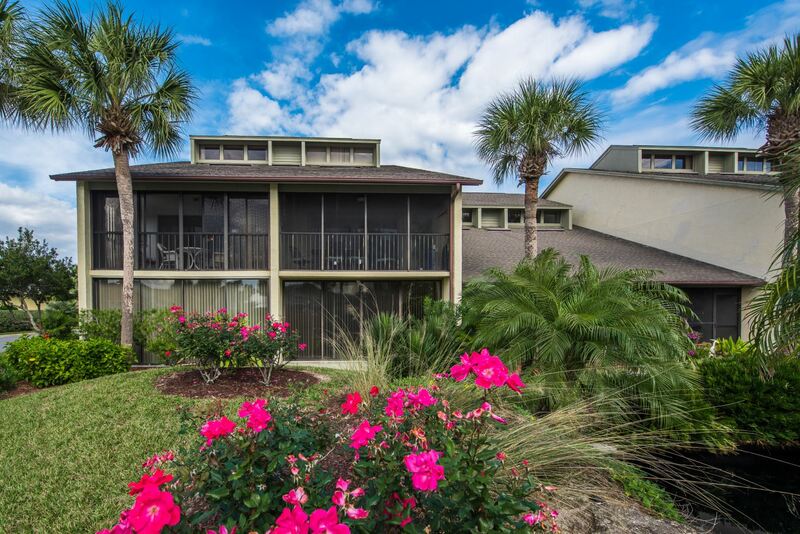 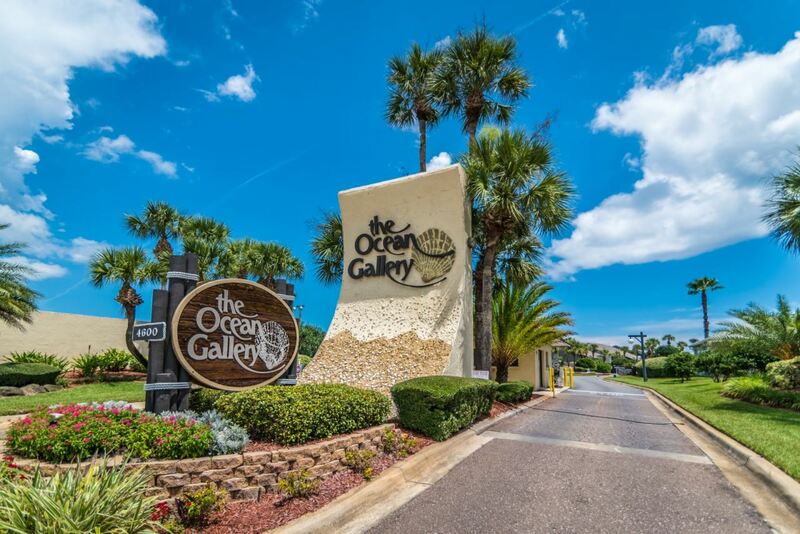 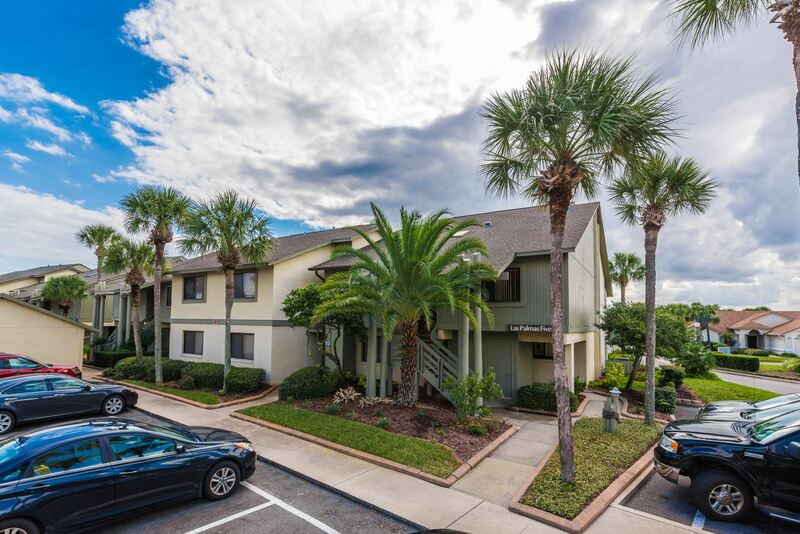 Ocean Gallery – resort living St Augustine-style! 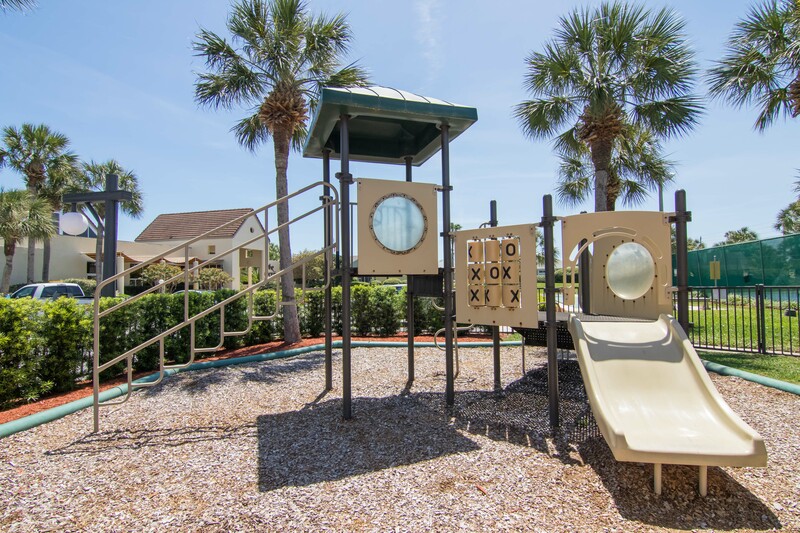 Offering a dazzling array of wonderful amenities in a picture-perfect tropical setting, life here is supremely easy and enjoyable. 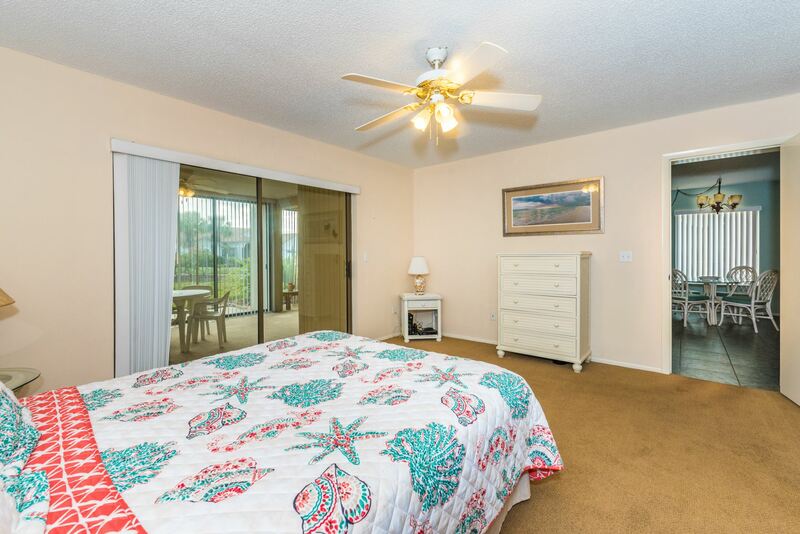 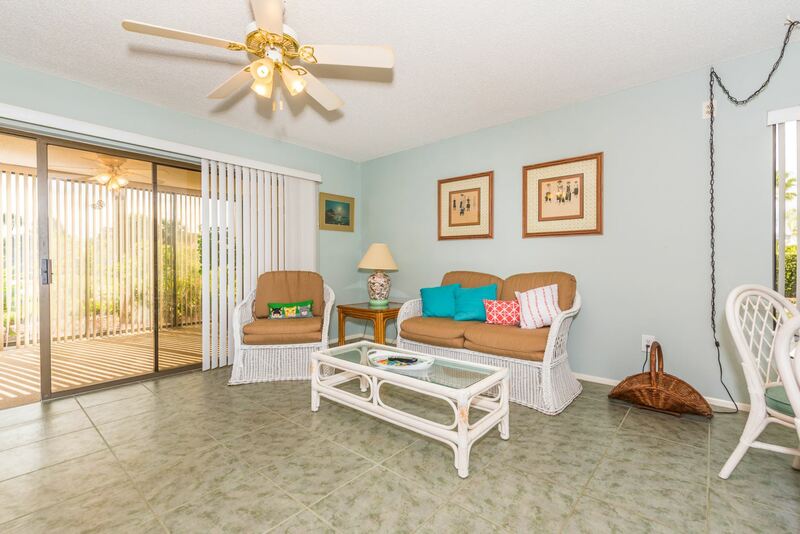 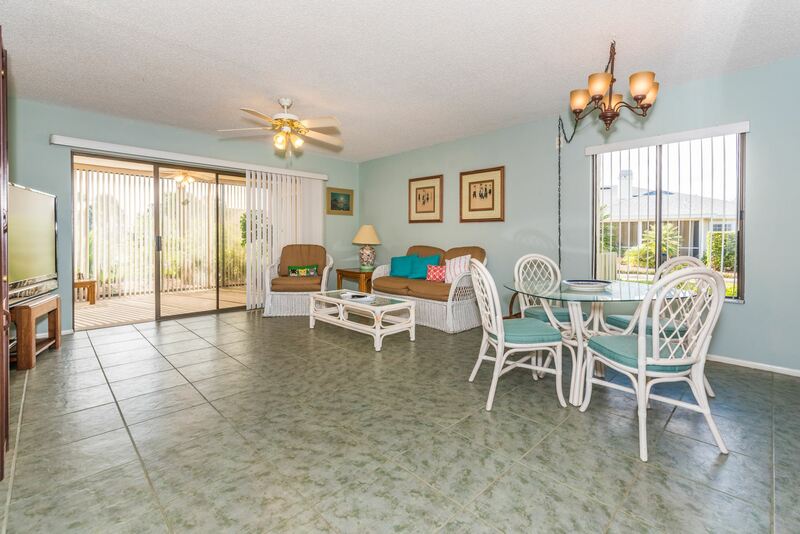 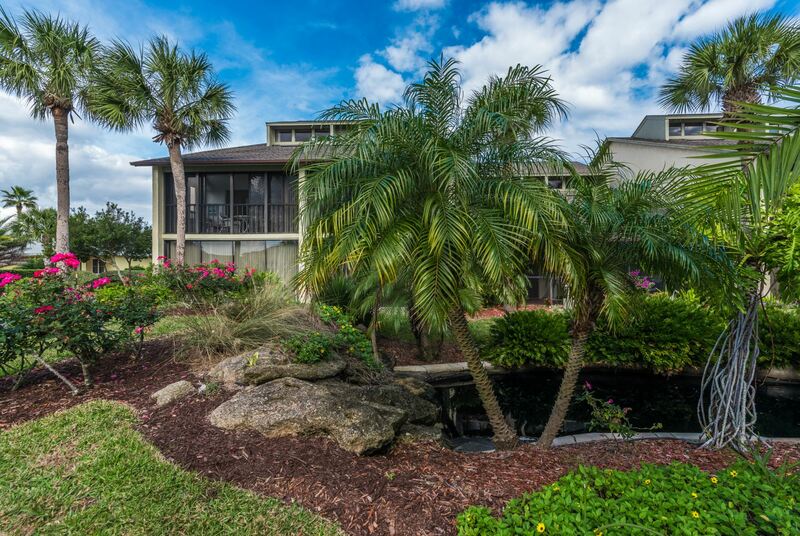 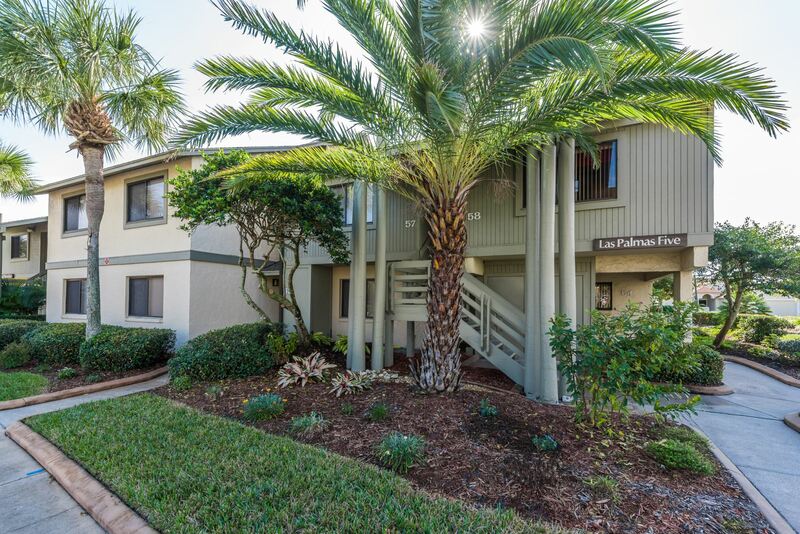 54 Village Las Palmas is a coveted 1st floor Big Sur 2/2 with 384SF Florida room. 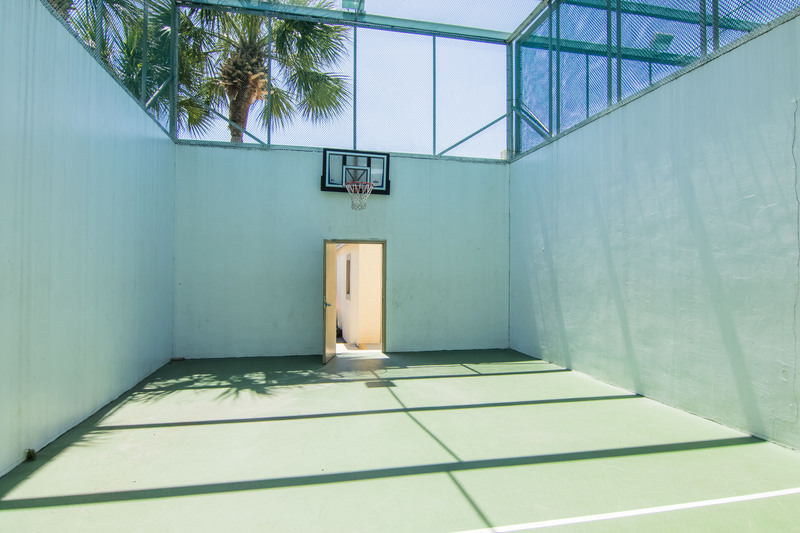 Located close to main gate, clubhouse and tennis court, you can walk from your front door to the indoor/outdoor pool in less than 5 minutes. 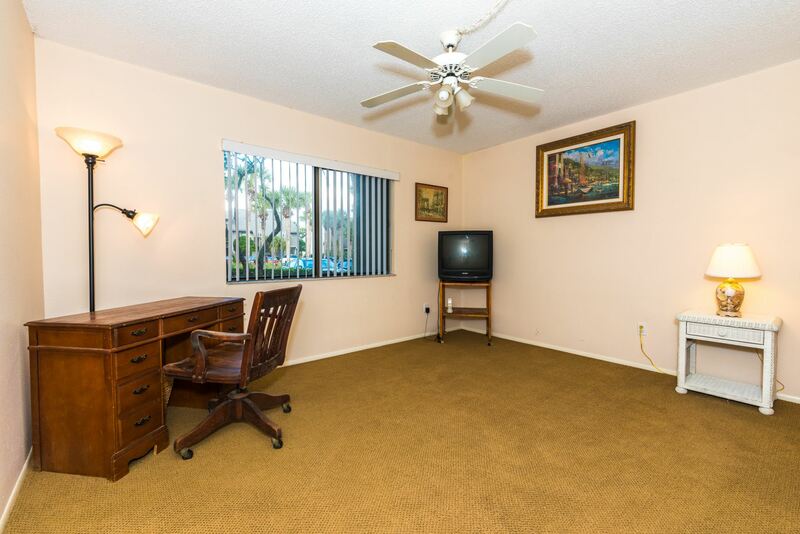 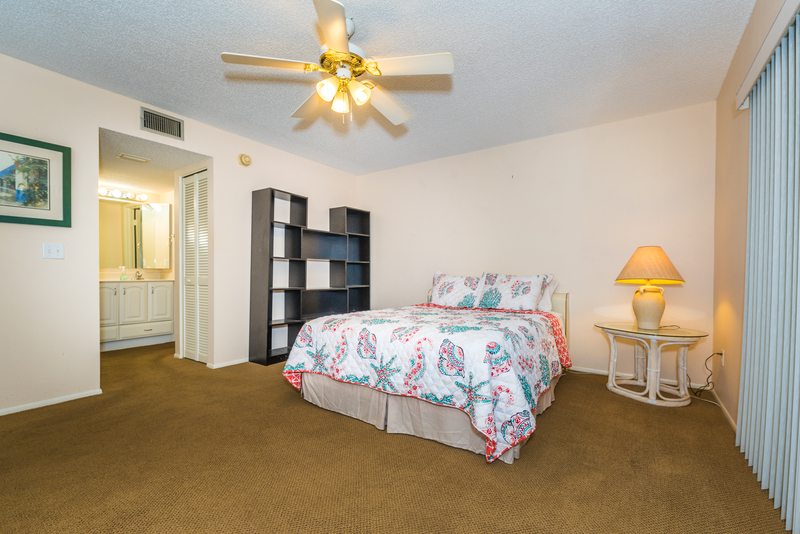 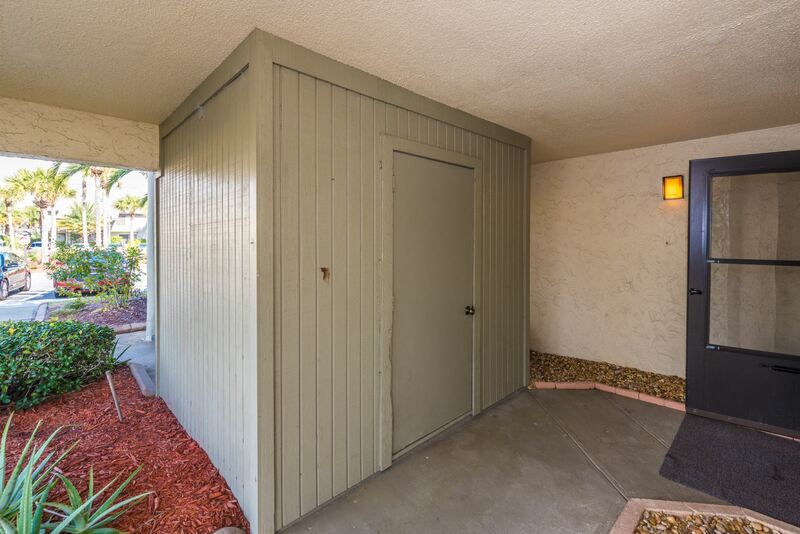 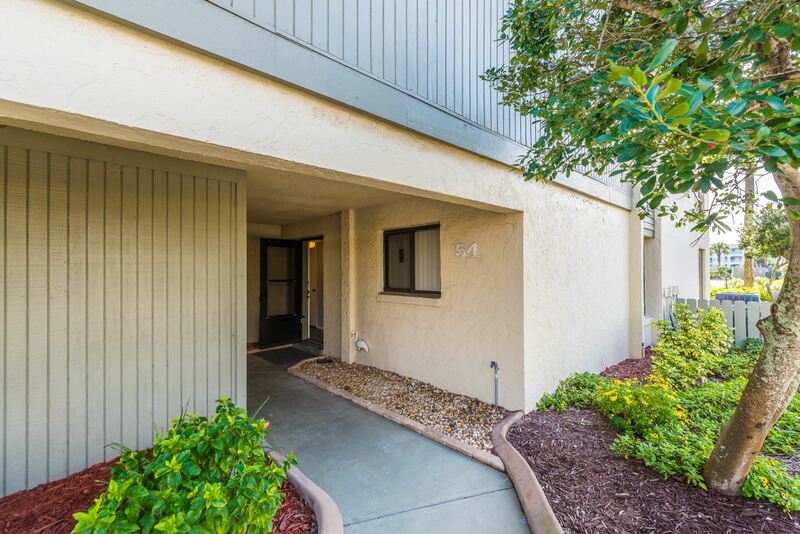 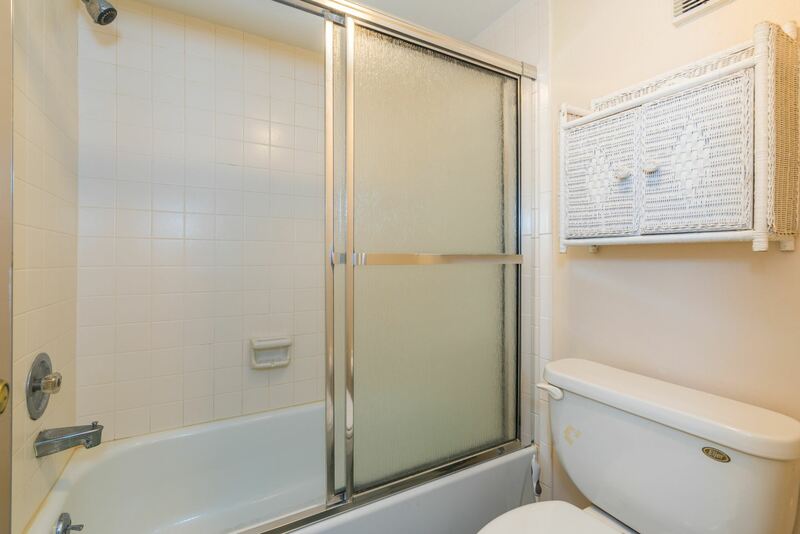 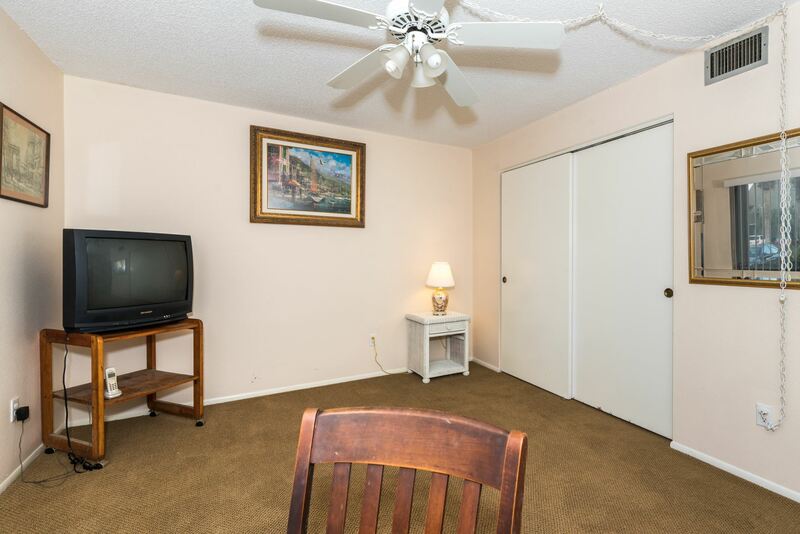 The dedicated parking spot is right next to the unit – so convenient to the covered entry. 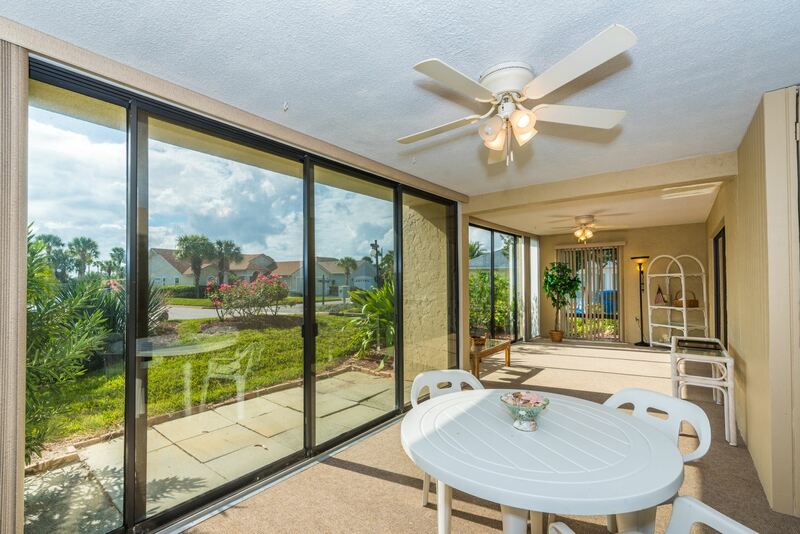 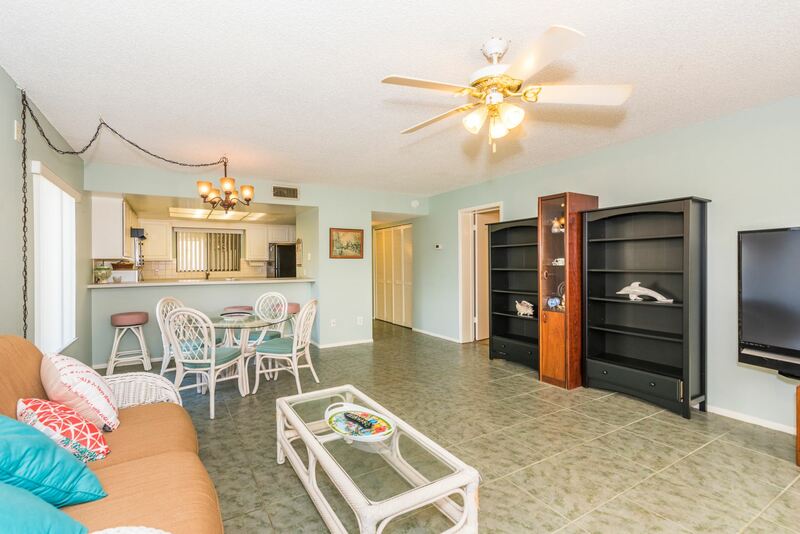 Enjoying a southern exposure, this flat offers expansive living space with a tiled gathering/dining room opening to the 32′ x 12′ Florida room. 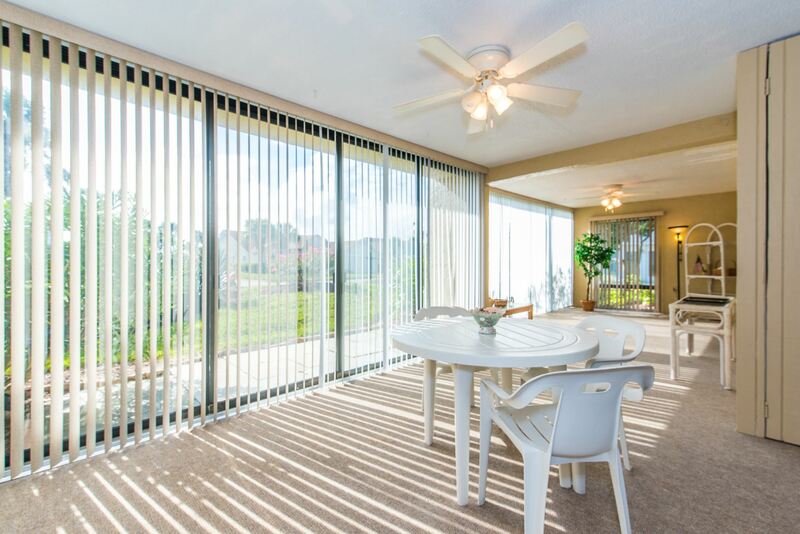 This corner unit enjoys additional windows making the interior bright and cheery even on a cloudy day. 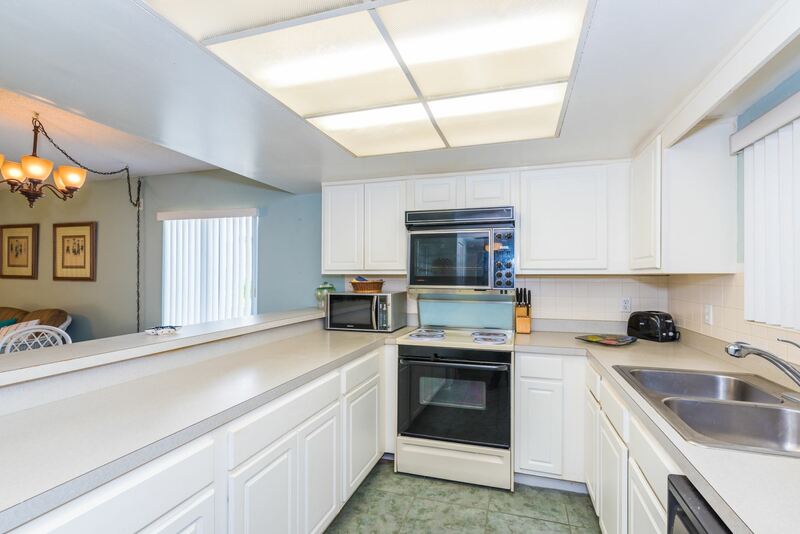 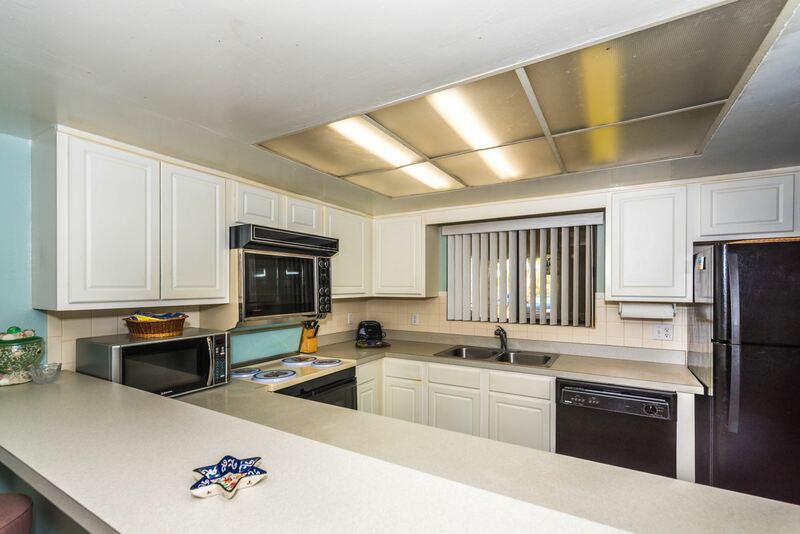 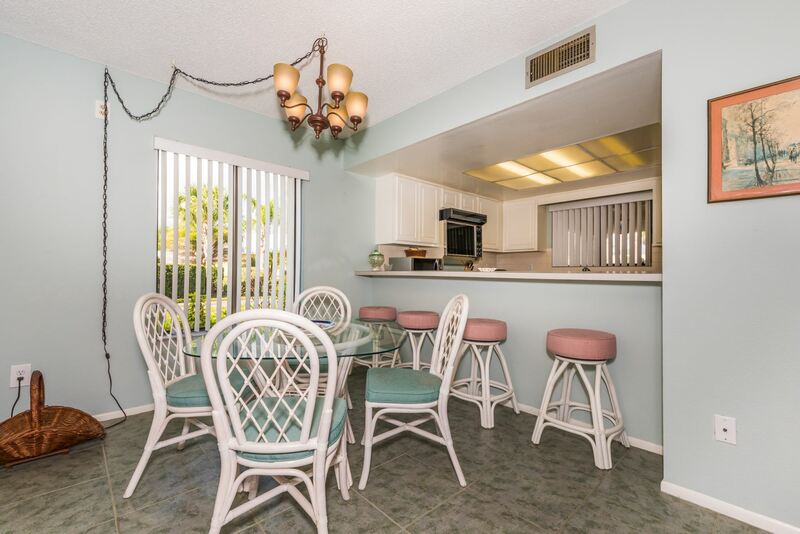 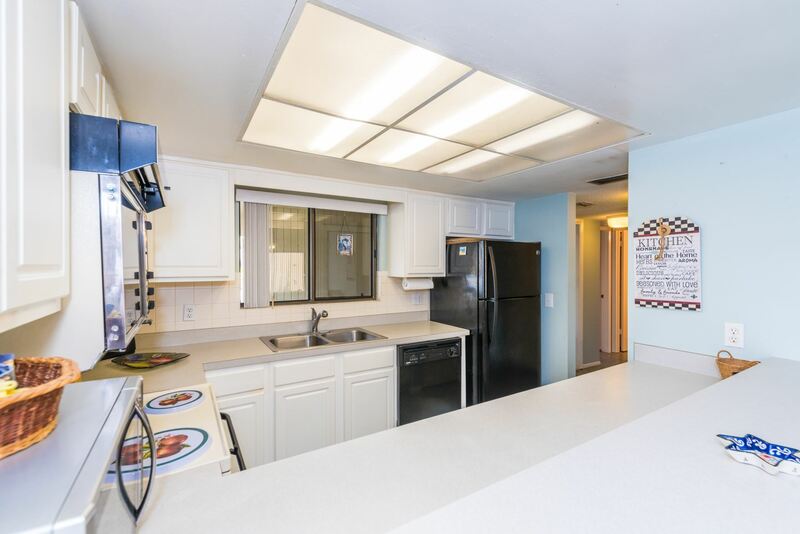 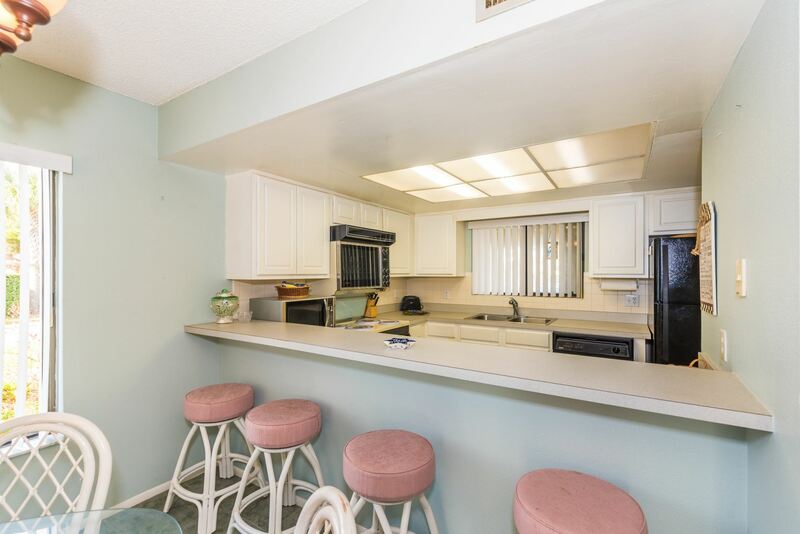 Galley kitchen at the front has ample work and storage space and there’s room for 4 friends at the bar so everyone stays connected during meal prep. 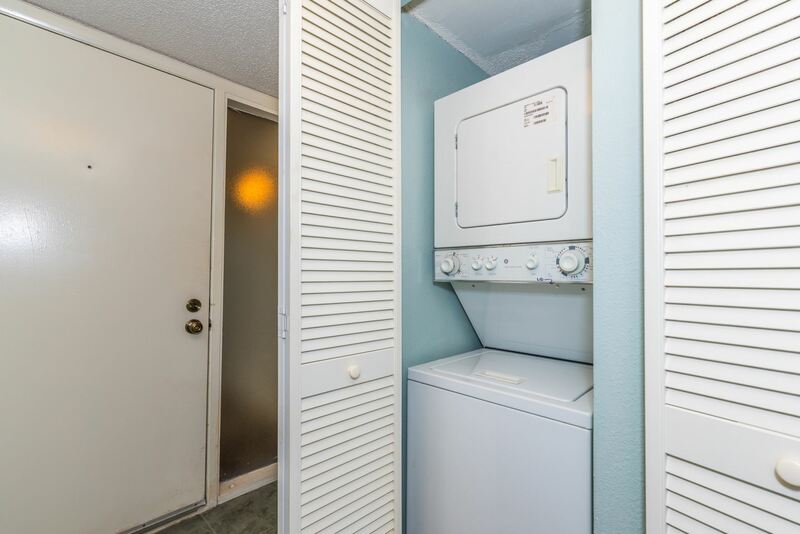 Laundry closet is just off the kitchen making multi-tasking simple. 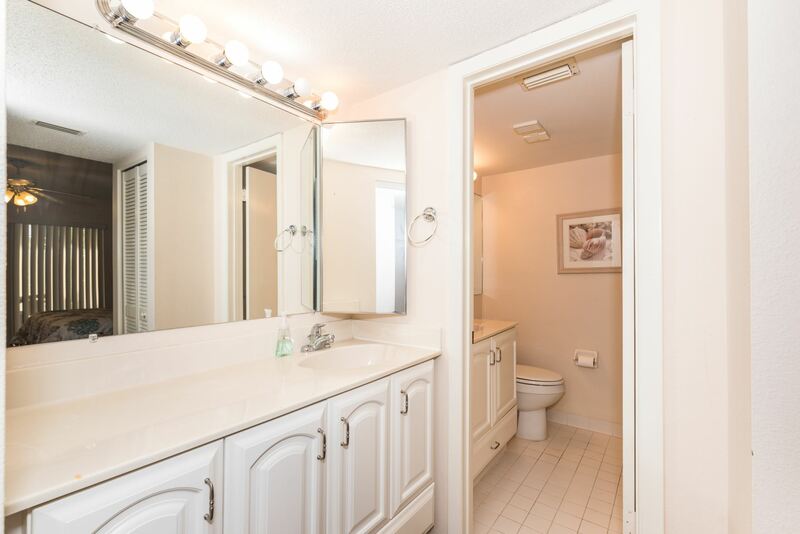 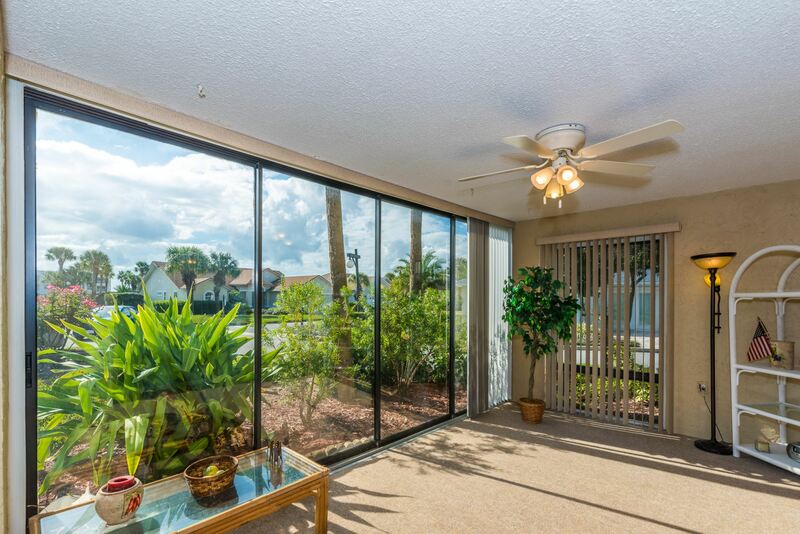 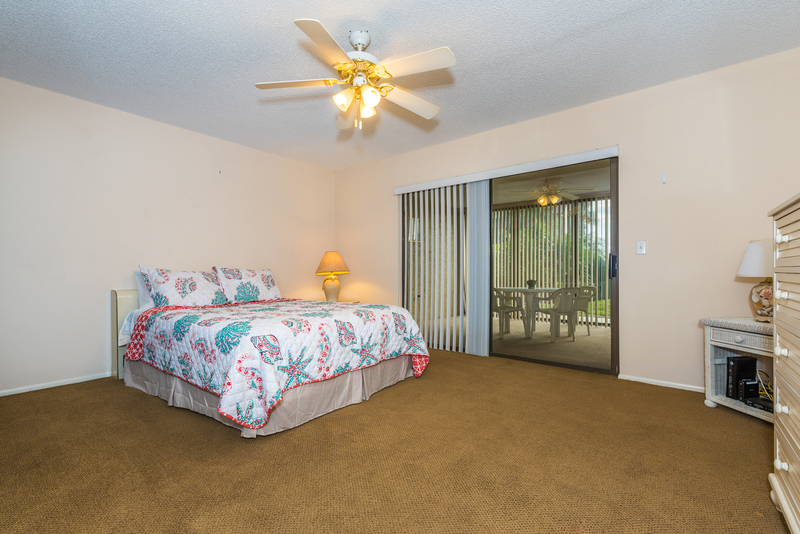 En-suite master is a spacious retreat with sliders opening to the east end of the Florida room. 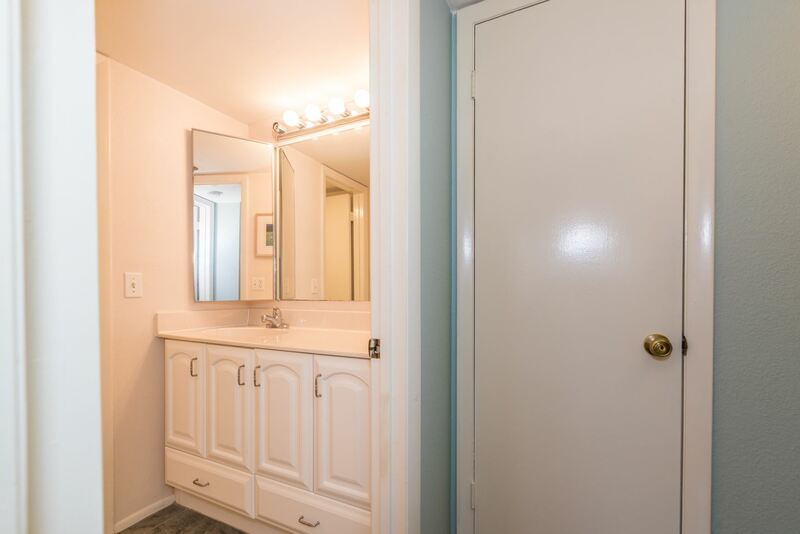 2nd bedroom is at the front and adjacent to the hall bath. 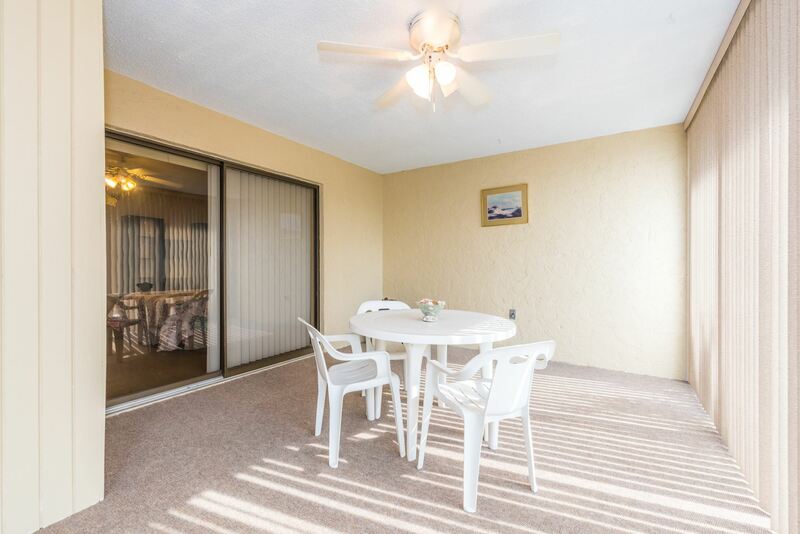 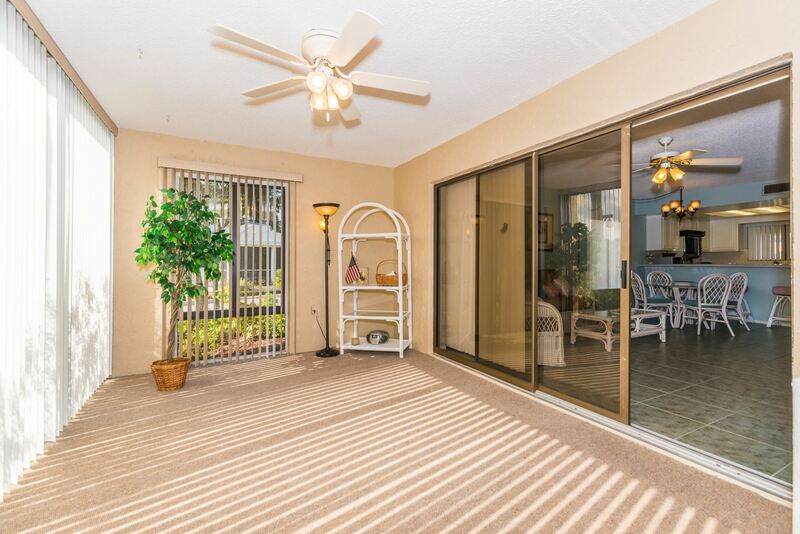 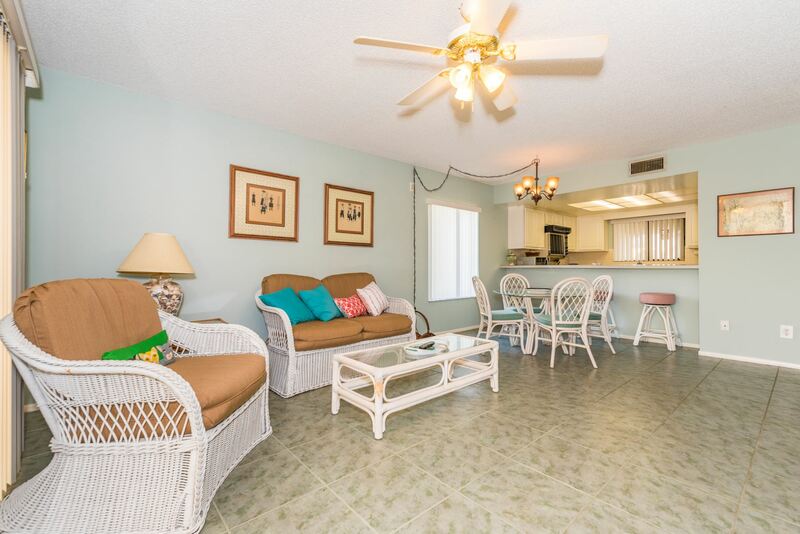 Outdoor closet is the spot for beach toys and bikes. 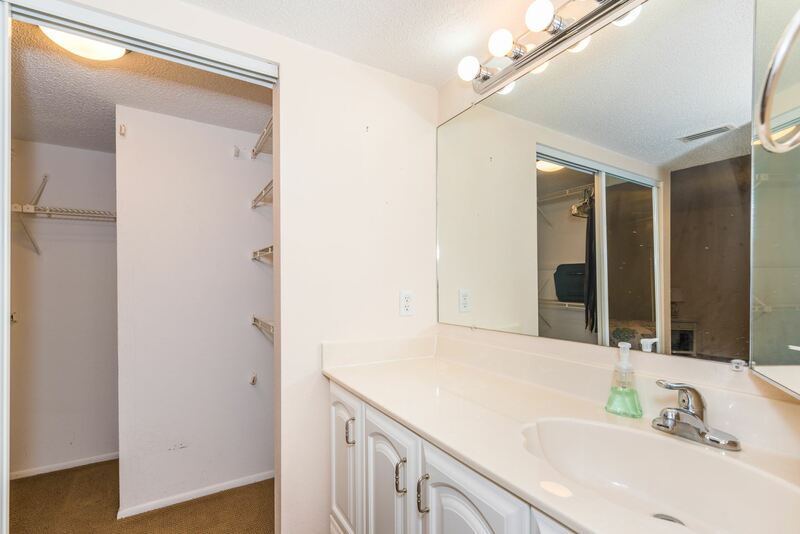 Now, on to the amenities. 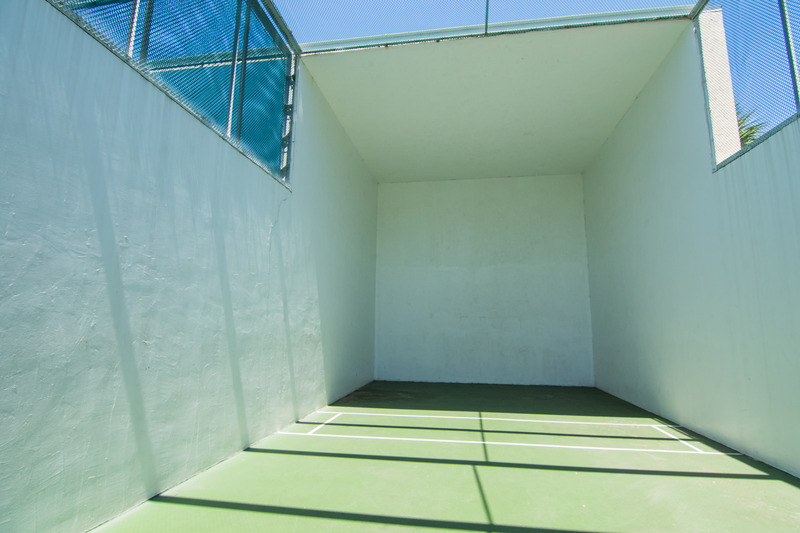 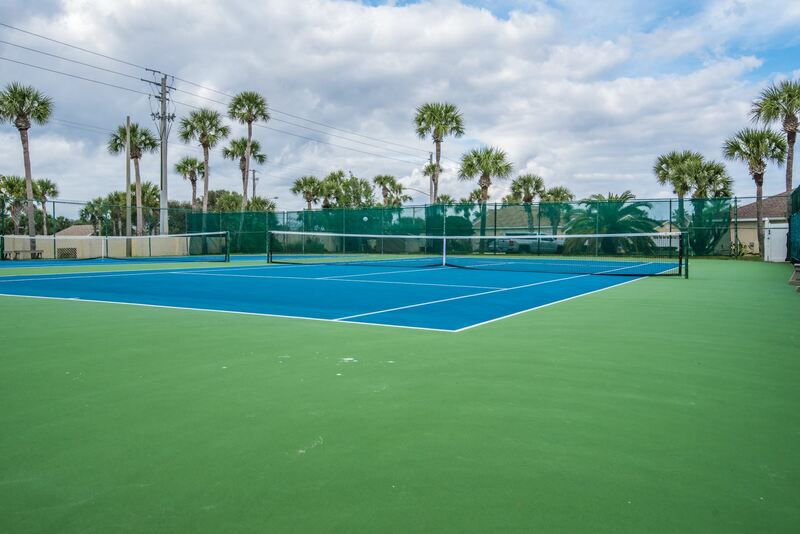 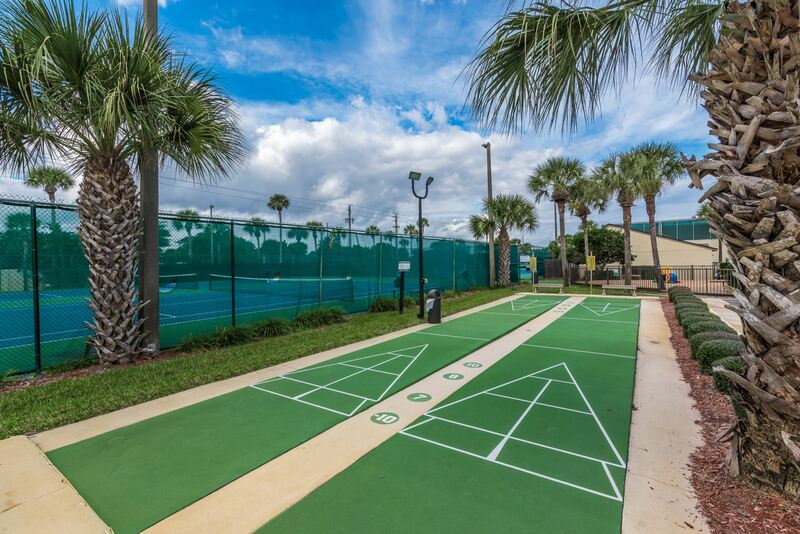 Think tennis, shuffleboard, basketball, racquetball. 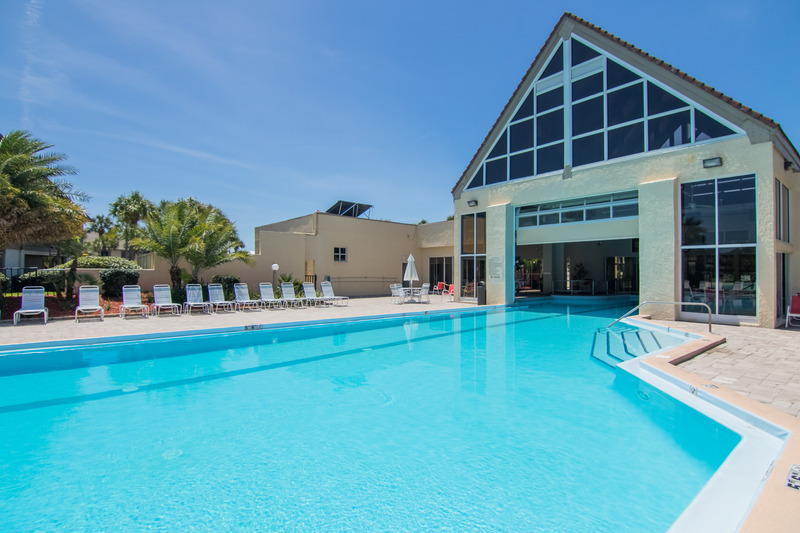 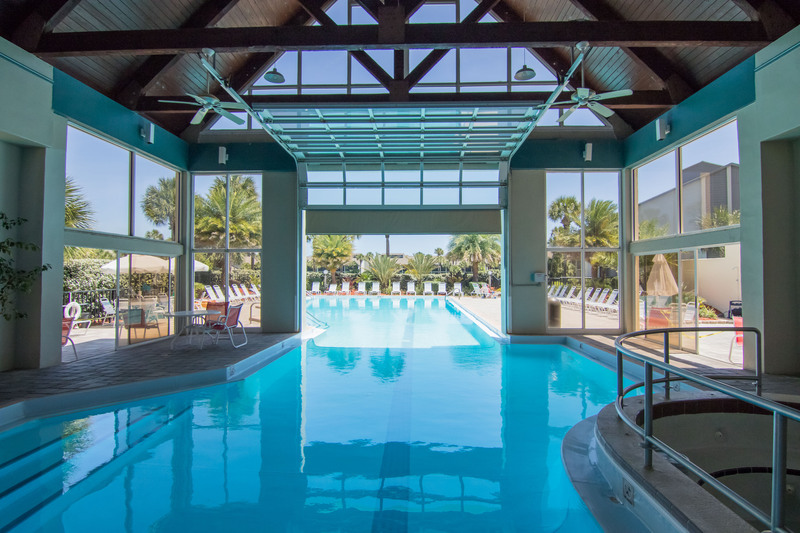 Soak those muscles in the indoor/outdoor heated pool or stroll down to the Las Palmas pool for some sun and a swim. 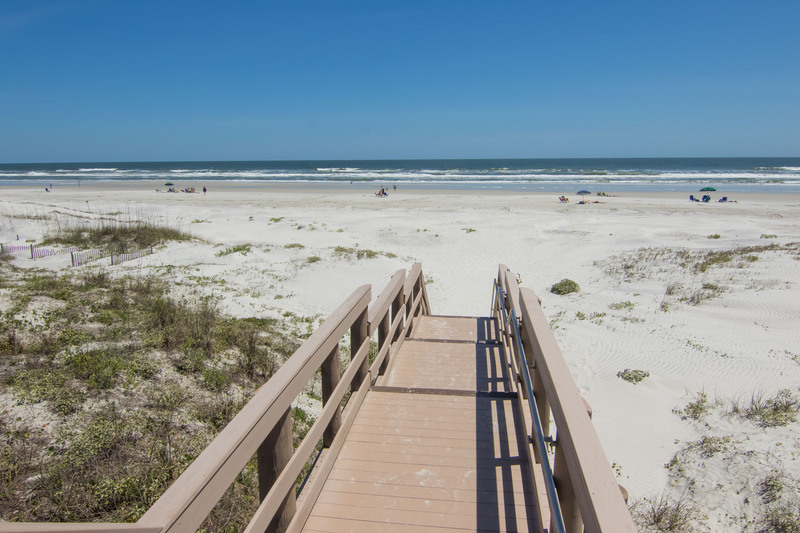 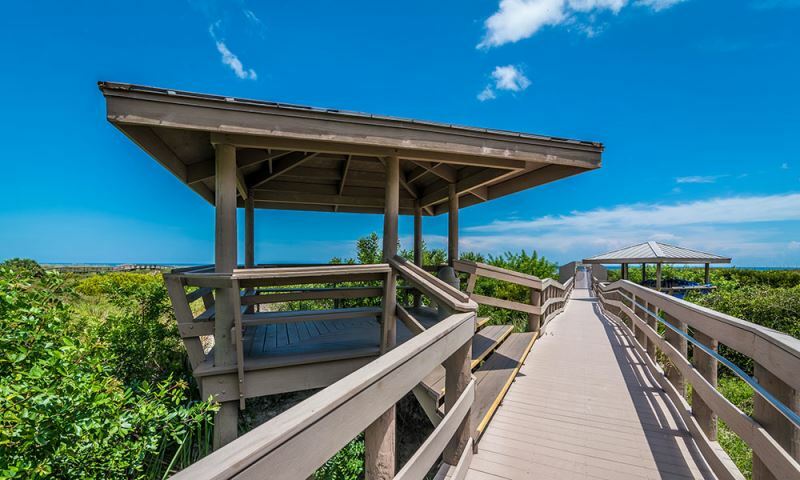 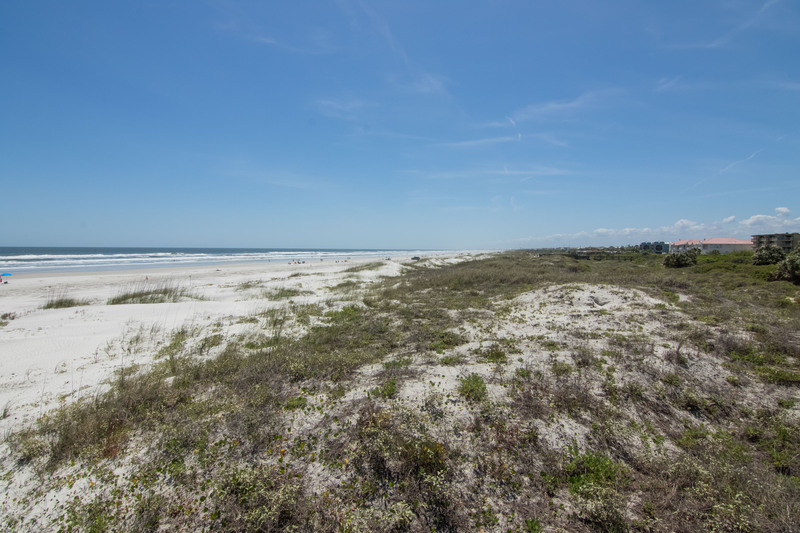 Keep heading east and the dune walkover is waiting to take you to the beautiful wide beach at the ocean’s edge. 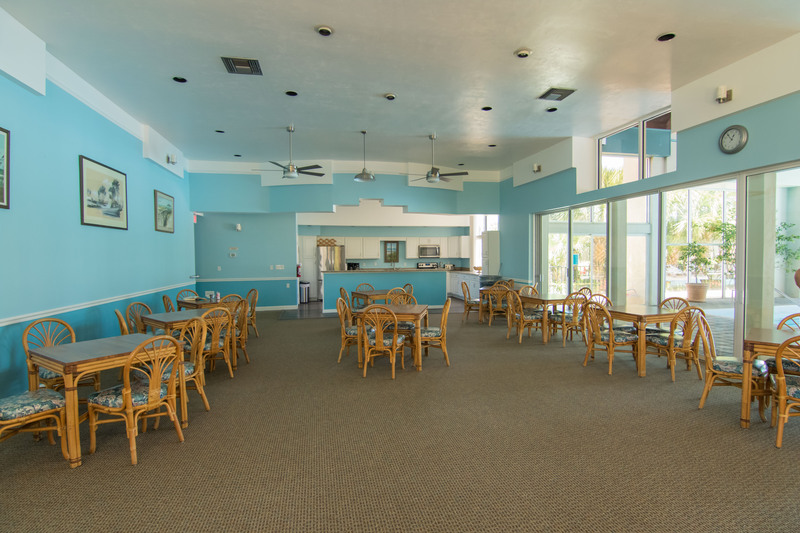 Clubhouse activities are too numerous to list so you’ll have to check them out on your own. 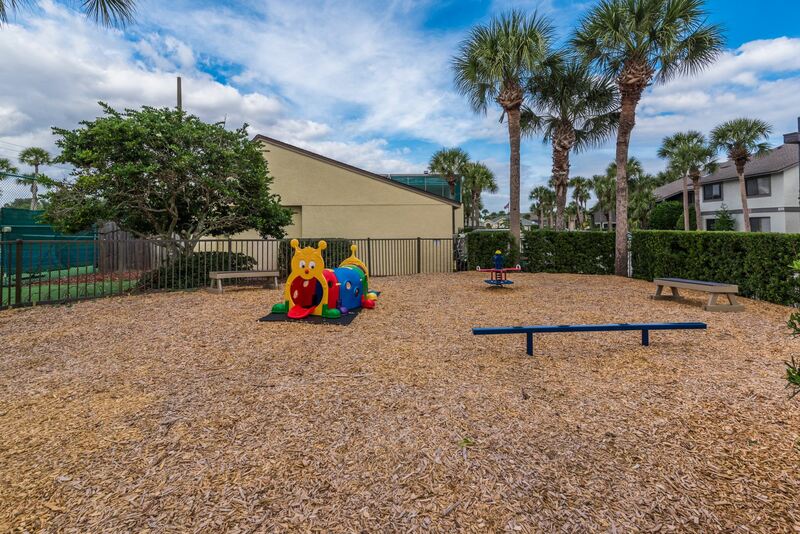 A tot lot and playground keep the younger set busy while you watch them play. 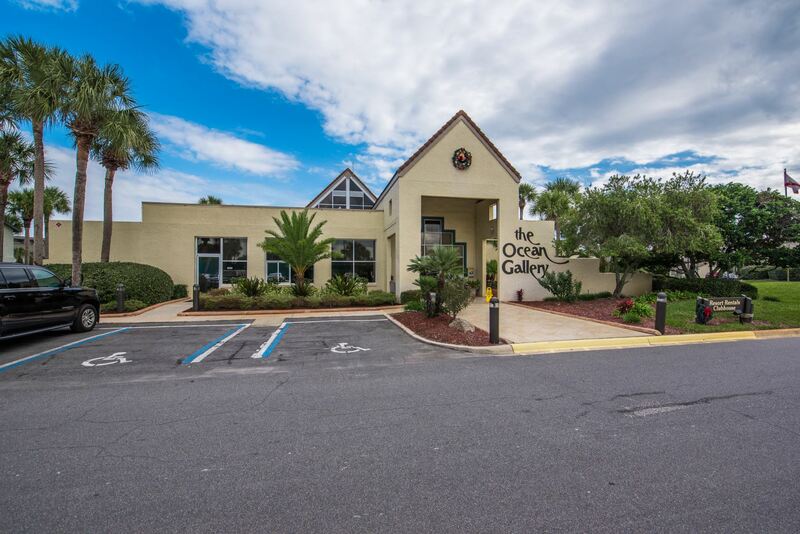 Ocean Gallery delivers a wonderful lifestyle to residents and paying guests alike. 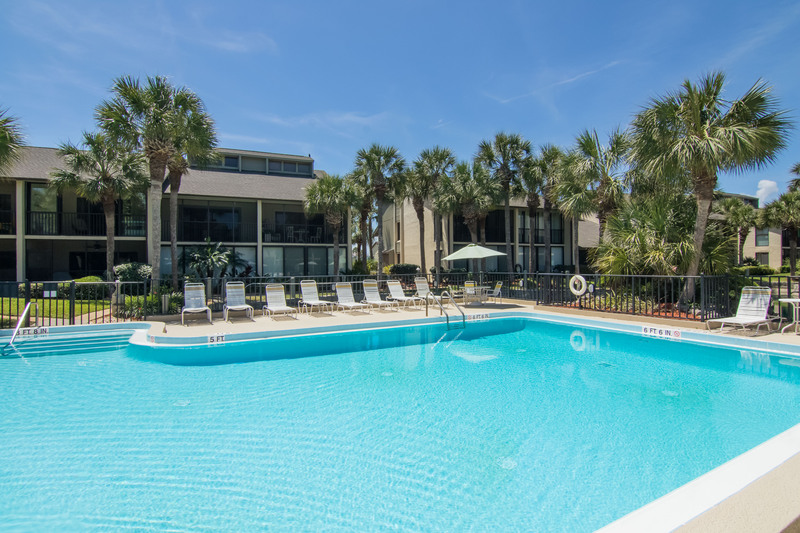 Whether it’s home for you, a weekend getaway or an investment, a good time is assured for all.